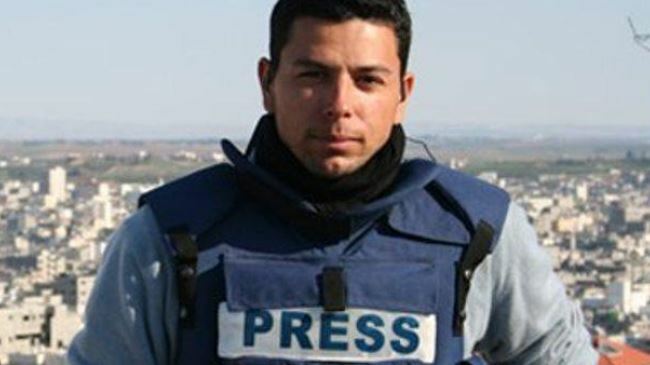 A Palestinian journalist who was injured when Israel shelled his Shujaiyya home succumbed to his wounds on Thursday, the ninth journalist to be killed by Israeli forces since the assault on Gaza began three weeks ago. Muhammad Daher, who worked for al-Resalah newspaper, was injured in the shelling while a number of his family members were killed. The target of the attack was unclear, but Israel has repeatedly destroyed entire apartment buildings in order to kill wanted individuals. 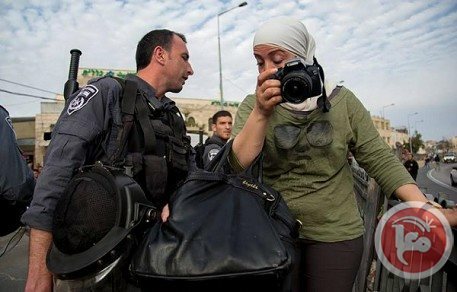 The Israeli assault has taken a high toll on Palestinian journalists, as seemingly haphazard shelling of residential and commercial areas have killed many, including 17 shoppers in a Shujaiyya market and 16 internally displaced people at a UN school on Wednesday. Photojournalists Rami Rayan and Sameh al-Aryan, who worked with al-Aqsa TV, were killed Wednesday during the shelling of al-Bastat market in Shujaiyya. Journalist Ahed Zaqqut, who focused on sports media for several agencies, was also killed Wednesday. 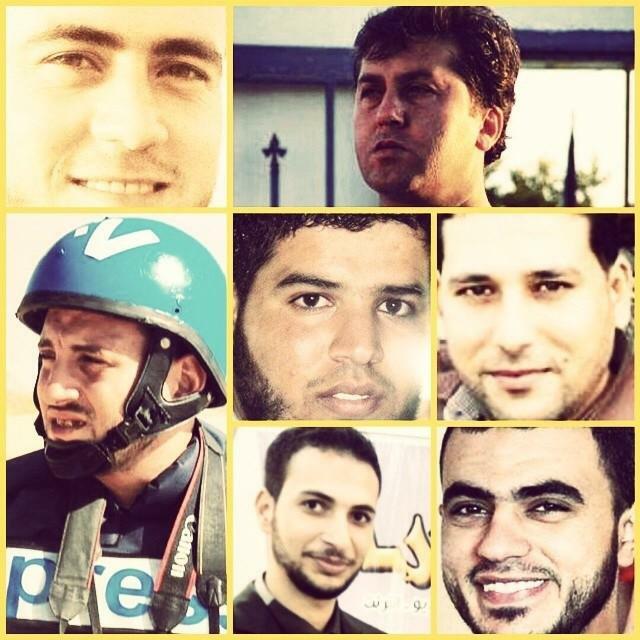 Journalists Najlaa Mahmoud al-Hajj, Abd al-Rahman Ziyad Abu Hayin, Izzat Dhuheir, Bahad al-Din Gharib, and photojournalist Khalid Hamad were also killed in earlier strikes on the Gaza Strip. 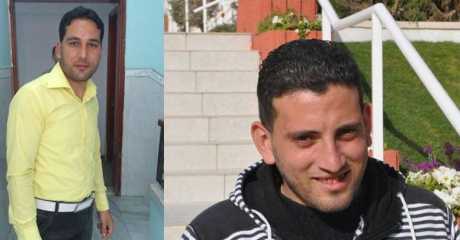 Journalists Sameh Al-Aryan (left) and Ramu Rayan, who were killed in the Israeli shelling of Shojayah market. 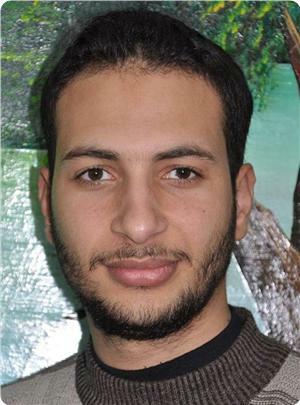 Photo release by IFJ Two Palestinian journalists were killed in Gaza, taking the journalistic toll to eight since the Israeli bombardment began a month ago. 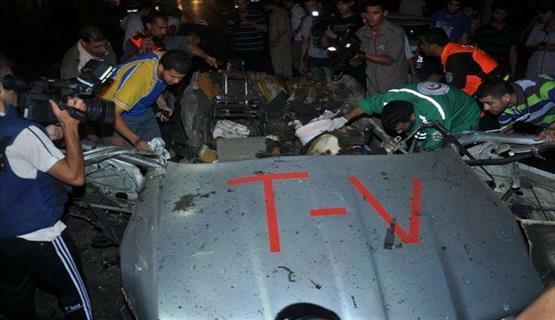 Israeli warplanes targeted offices belonging to the al-Aqsa TV station early Tuesday, a Palestinian media group said. 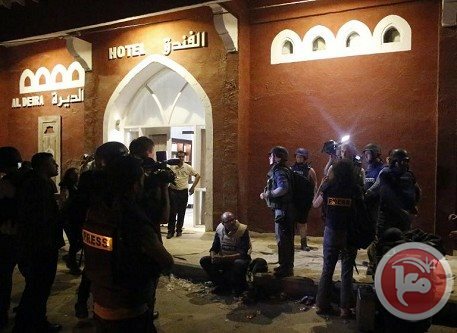 The Palestinian Journalist Bloc said in a statement Israeli forces struck the Hamas-affiliated station's offices in the al-Nasser neighborhood, the Sheikh Radwan neighborhood, and the al-Rimal neighborhoods of Gaza City. 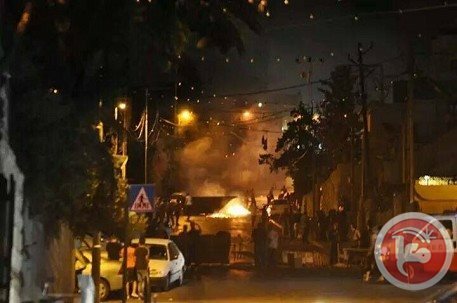 Al-Aqsa's broadcast stopped briefly after the strike on the al-Rimal neighborhood, although no injuries were reported. The Bloc condemned what it called "crimes against journalists and media." Hamas' station plays a "central role in managing the media battle against the Israeli lies," the Bloc said. It said al-Aqsa channel was crucial for providing information on the ground in Gaza to several other Arabic media organizations. The Israeli army confirmed the strikes on al-Aqsa's offices in an emailed statement. Strikes "targeted the propaganda dissemination capabilities used to broadcast the messages of (Hamas') military wing," the statement said. "'Al-Aqsa' station broadcast capabilities are used to incite Palestinians against Israel, to transit orders and messages to Hamas operatives and to instruct Gaza residents to ignore IDF (army) warnings regarding upcoming military activity in specific areas." During Israel's last major offensive on Gaza, Israel targeted two of the station's cameramen in addition to targeting its office. According to the Palestinian Center for Human Rights, an Israeli warplane fired a missile at a car on Nov. 20, 2012, killing Hussam Muhammad Abd al-Rahman Salama and Mahmoud Ali Ahmad al-Koumi. Days earlier, Israel had struck al-Aqsa's office in the al-Shorouq building in western Gaza City. The building housed offices several other media organizations, and six journalists were injured. 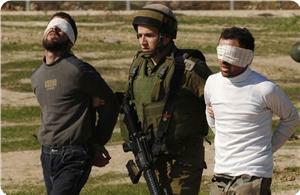 PCHR and other rights organizations condemned the attacks, saying Israel was deliberately targeting journalists. The Israeli army continued its illegitimate bombardment of Palestinian homes, and civilian property, and killed five family members of a Palestinian journalist, including two children in Gaza City. 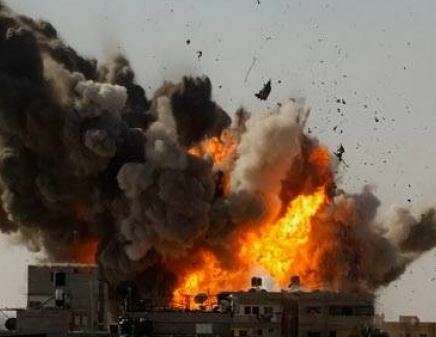 Media sources said the Israeli strikes also targeted government facilities and ministries, media outlets, mosques and even homes of senior political leaders of Hamas, including the deputy head of the Hamas Political Bureau, Ismael Haniyya. 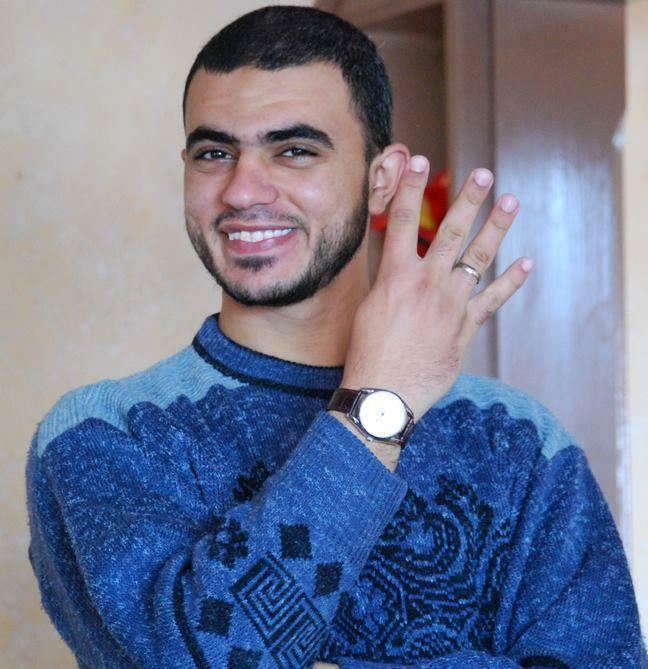 Medical sources said resident Ezzat Dheir, a 23-year-old journalist, working for a local radio, was killed along with four members of his family, after an Israeli missile striking his home. 1. Ezzat Dheir, 23, Rafah. 2. Turkeyya Dheir, 80, Rafah. 3. Yasmeen Dheir, 25, Rafah. 4. Mary Dheir, 12, Rafah. 5. Tasneem Dheir, 8, Rafah. The al-Hurriyya (Freedom) Radio issued a statement denouncing the ongoing Israeli crimes against the Palestinian people, including journalists and medics, adding that Dheir was its correspondent in Gaza. Also on Tuesday, head of the al-Borei Local council, Anis Abu Shammala, was killed after an israeli missile was fired into is home. On Monday, ten children were killed, and more than 30 were injured, when the army fires missiles into a playground north of the Shaty’ refugee camp, west of Gaza City. The army also fired missiles into clinics of the Shifa Hospital, one of the biggest hospitals in the Gaza Strip, wounding at least five Palestinians. Another Palestinian was killed, and three were injured, after the army fired a missile into his home in Beit Lahia, in the northern part of the Gaza Strip. 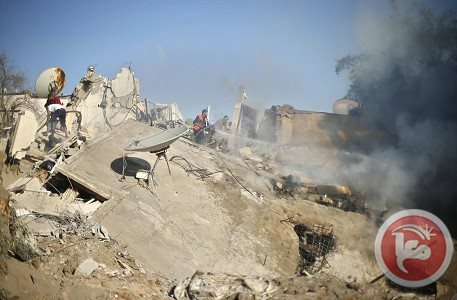 Three Palestinians, including two brothers, have also been killed by an Israeli missile striking a home, belonging to al-Hashshash family, in Rafah. Gaza's main power plant was hit by Israeli tank shells on Tuesday, shutting it down completely. The power plant had already been operating at 20% capacity, after having been hit by Israeli airstrikes last week. Most Palestinians depend on the central Gaza power plant to provide electricity. This will also severely impact the ability of Palestinians to communicate to the outside world via the Internet -- which has been the main source of information getting out of Gaza up until this point. Gaza's main power plant was also heavily bombarded during the Israeli invasion of 2009, which had a serious impact on hospitals' ability to provide care. At least 40 Palestinians have been killed by Israeli missiles on Tuesday, while dozens have been injured, some seriously. At least 1100 Palestinians have been, and Israeli missiles have injured more than 6470 and shells since Israel launched its offensive on Gaza on July 8. The majority of the casualties are are children, women and elderly. A Palestinian cameraman and a paramedic were among dozens of people killed in Gaza's Shujaiyya district on Sunday as Israeli troops mounted an intensive bombardment, medics said. "Cameraman Khaled Hammad and paramedic Fuad Jaber were killed in a strike on an ambulance, while they were trying to evacuate the wounded from Shujaiyya," emergency services spokesman Ashraf al-Qudra told AFP. American network NBC News has pulled out its correspondent Ayman Mohyeddin from the Gaza Strip following his unbiased coverage of the Israeli regime’s atrocities in the besieged Palestinian enclave. According to an NBC source, the network’s executives claimed the decision was motivated by “security concerns” amid reports that an Israeli military’s ground incursion into Gaza was looming. This is while the news outlet dispatched another correspondent, Richard Engel, to Gaza late on Wednesday to replace Mohyeddin. Engel was accompanied by an American producer, who has never been to Gaza and does not speak Arabic, according to sources familiar with the issue. The network refused on Thursday to issue any further public comments. 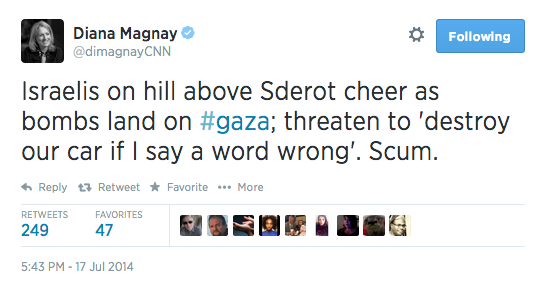 It also failed to explain why the security issues that demanded Mohyeddin’s exit from Gaza did not apply to Engel. Like many other mainstream media outlets in the US, the NBC News is also known for censoring various stories it finds against the US and the Israeli regime’s interests. At least one journalist was injured in an Israeli airstrike that targeted Palestinian media buildings in the Gaza Strip early Friday. Solidarity marches were organized in different cities and towns in occupied West Bank and Jerusalem, which led to the outbreak of clashes with Israeli forces. Several journalists were injured after an Israeli airstrike early Wednesday morning struck a building in Gaza City that houses the Sawt al-Watan radio station. 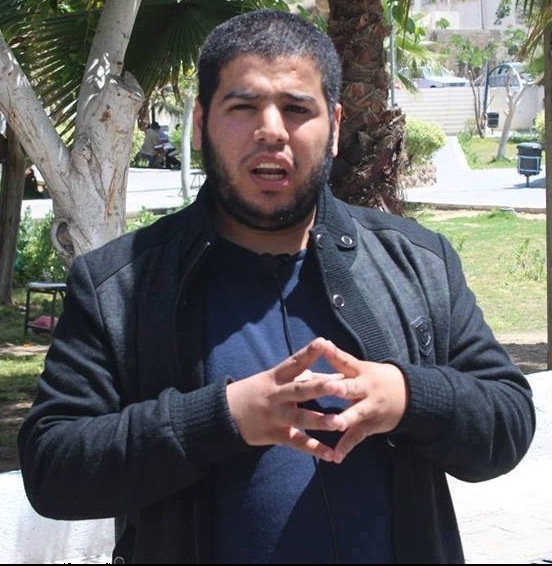 A journalist at the station Luay Abu Muammar told Ma'an that the radio station "was damaged, some machines were destroyed, and the radio's car was destroyed," in the attack, which comes on the ninth day of a sustained Israeli assault on Gaza. "The broadcast is still cut off," he added. The management and employees of the radio station condemned the targeting the building, stressing that the Israeli attack targets the rights of journalists and contravenes laws protecting freedom of the press. Abu Muammar called upon the Arab and International Journalists Syndicate to condemn the attack and hold Israel responsible for its crimes. Journalists Ahmad al-Ajala, Tariq Hamdieh, Muhammad Hammoudeh and Bahaa al-Razi Abu Muammar were in the building at the time of the airstrike. The Israeli army has been regularly accused of targeting Palestinian journalists by international watchdogs, and attacks on news and radio stations in Gaza have generally been more frequent during times of bombardment like in 2012 and 2008-9. On Wednesday, Israeli forces bombed a car full of journalists with the word "TV" printed across the roof, killing Hamdi Shihab and injuring three others. 209 Palestinians have been killed and 1,560 have been injured since Israel began "Operation Protective Edge" in Gaza, which began after more than two weeks of an intensive operation in the West Bank that killed at least six, injured more than 130, and led to the arrest of more than 600.